Experience Andamans is the preferred tour operator for Celebrities and High End Customers who needs special assistance in the islands. We have been planning and executing trips for many Corporates, Government Employees, Retired Officers, Groups, Adventure Seekers, Lone Women Traveler, People with Disability and Couples on Visit to Andamans. 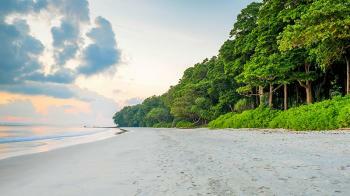 Explore the Andaman Islands in all different way. Mentioned below are some of the best tour packages that travellers prefer during their visit to Andaman Islands. A plethora of amazing experiences kept on a platter for you to pick and choose the one that exactly suits your interest. We understand that one trip doesn't fits everyone and for that reason we also recommend travellers to customize a package specifically to their liking. Experience Andamans customizes the most amazing experiences for travellers and we make it possible for everyone to get that amazing experience in Andaman. There is a reason why we are considered the best travel company in Andaman Islands and travellers just love us. Andaman Tour - Easy Escape ..